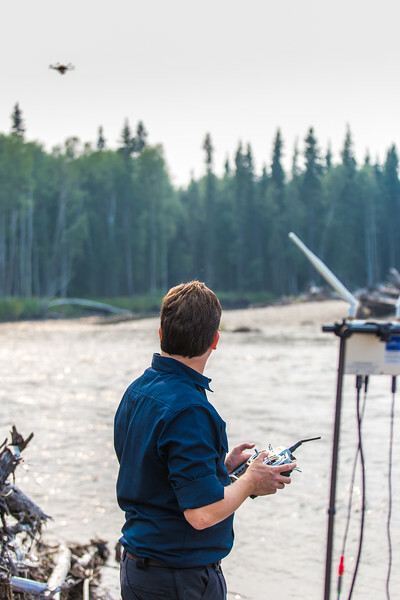 Trevor Parcell, a pilot with UAF's Alaska Center for Unmanned Aerial Systems Integration (ACUASI) flies a drone over the upper Chena River July 31. Parcell and other ACUASI technicians were working with the U.S. Fish and Wildlife Service to obtain quality video footage of the prime king salmon habitat along that stretch of the popular river.